FlightSite is an Online South African travel agency that provides an innovative travel portal for the South African market and aims to make travel arrangements for local and international travellers easy. Born out of their shared love for travel, Rian Bornman (from Venues4Africa.com) and Wally Gaynor (Managing Director of Club Travel) started FlightSite in 2009. FlightSite is also partnered with the Thebe Tourism Group, the oldest black empowered tourism group in South Africa which shares FlightSite’s visions and values. Their close ties with these larger groups gives FlightSite bulk buying power to negotiate more competitive airfares and preferential rates with suppliers such as airlines, hotels, tour operators, travel insurance, car hire, cruises and foreign exchange bureaus – worldwide. FlightSite is a fully IATA licensed travel agency with experienced agents available at their call centre. They have won numerous industry awards and were named Africa's Best Online Travel Agency in 2011, 2012, 2014 and most recently 2015. Their philosophy is to offer customers the best value for money with the widest range of choice for international and domestic flights, car hire and hotel accommodation. 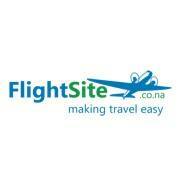 FlightSite have also acquired several white labels such as Pick n Pay Travel, Travel Latitude and Mweb Travel. In 2013 FlightSite launched FlightSite Agent, an innovative online travel tool for small businesses. It gives its independent travel agents access to competitive net fares which they can access via an easy to use web-based platform. FlightSite is aiming to become the first fully South African online travel agency which strives to make travel easy. FlightSite’s objective is to make travel easy for all. This translates into friendly and informative staff, an easy to use online booking engine and great after sale service. Whether you want to book online or through a travel consultant on the phone, you’ll always get friendly service when you want it. That is how FlightSite is #MakingTravelEasy! 2009 : Rian Bornman of Venues4Africa.com and Wally Gaynor of Club Travel team up to form FlightSite.co.za. 2009: FlightSite starts aquiring "white lables" such as Pick n Pay Travel, MySchool Travel, Travel Latitude and Sho’t Left Tourism. 2011: FlightSite is named Africa's Leading Online Travel Agency. 2012: FlightSite is named Africa's Leading Online Travel Agency for the second time. 2013: FlightSite launches FlightSite Agent. 2014: FlightSite is named Africa's Leading Online Travel Agency for the third time. 2015: FlightSite is named Africa's Leading Online Travel Agency for the fourth time. In 2013 FlightSite launched their FlightSite Agent platform which gives aspiring travel agents the opportunity to start their own business from home by using the FlightSite Agent tool. FlightSite Agent provides users with very competitive net rates that they can then sell to customers through their own personal brand. There is no signup, membership or commission fees required during registration or while using the tool. Users who sign on receive training and assistance by a professional, experienced FlightSite Agent absolutely free of charge. In this video he explains how Flightsite offers support to FlightSite Agents. FlightSite is part of the Thebe tourism group through their Club Travel connection. The Thebe Tourism Group is owned by the Thebe Investment Corporation, a BEE investment company. The Thebe Tourism group was formed in 2001 making it South Africa’s first BEE tourism group. Club Travel was established in July 1987 by Wally Gaynor with the vision of always providing the client with the best deal. Today Club Travel and FlightSite shares that vision. Club Travel has won many different industry awards, the most prestigious of them all was being named Africa's Leading Travel Agency in 2007, 2008, 2009, 2010, 2011, 2012 & 2013 by the World Travel Awards. FlightSite recently branched out to four African countries namely Uganda, Namibia, Kenya, Tanzania and Zimbabwe. They have teamed up with various established travel agencies in each country like Worldlink Travel and Tours Ltd in Tanzania and The Travel Professionals in Namibia to launch a FlightSite affiliated online travel agency in each country. These companies will function in the same way as FlightSite.co.za with the same values and vision of making travel easy for travellers. These affiliates will give FlightSite access to the growing African market, a very exciting venture into one of the world’s fastest growing economies. FlightSite owns and operates Travel Latitude which is an online travel agency that services Investec account holders. Travel Latitude is a full services online travel agency that is available for Investec clients. Clients can book all of their travel arrangements through Travel Latitude from flights to accommodation to car hire. 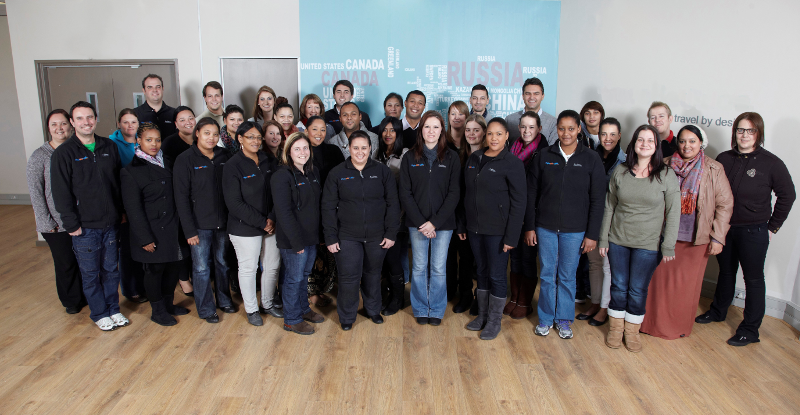 Professional travel agents are at hand to assist Investec clients with all their travel needs.